Back in high school I worked in the darkroom (early 1970's) for the school paper and year book. Was really into B&W photography. Saved up and got a Minolta SRT-101. It still took great photos up to 10 years ago - because that's when I lost it somewhere? To this day I can't figure (sadly) what the heck happened to it. Wished I still had it. There were some very good cameras from Russia. The Kiev 4 was a particular favourite, and, along with nested matryoshka dolls and Rollei lookalikes, in the 70's it could be bought from the Russian Shop in High Holborn. It's not from Russia. It's Ukrainian. My first camera was Kiev-19 with a stock Helios 50mm lens, got it from my parents at around 14-15, and it had been my main camera until I got EOS 350D a few years later. A very basic camera if you compare it with the likes of Nikon (it's also F mount, btw), but did everything I needed at the time, and compared to the rest of the Soviet-era cameras it was actually among the very best overall - very durable too, I remember shooting when it was -20C outside. Used to experiment a lot with the b&w photo and darkroom, since I had a friend at a uni photo lab and could use it on occasion, but many of the films I shot were long expired Svemas, so results were peculiar at best. The only other B&W film available at the time was Kodak (C41), which was expensive (for a kid) and you'd have to be lucky to get it. Although numeric/digital cameras are very practical, I must admit that those vintage cameras have lots of charm... A bit like wet shaving, DE vs. cartridge. 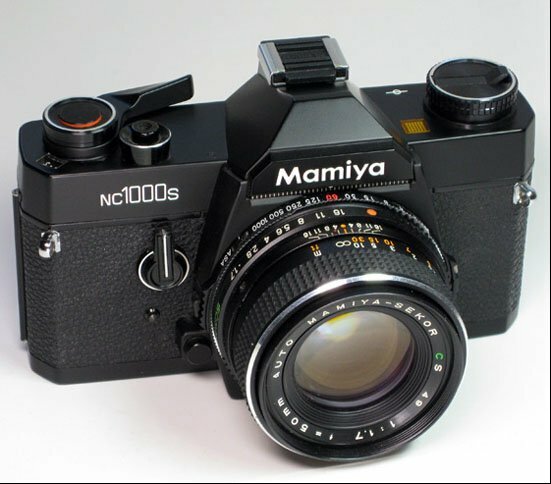 I bought this wonderful Mamiya before going to Cuba in 1980. It remained my favorite handling camera for a long time. I forget what happened to it, I either donated it to a street kid project in Vietnam or it's well hidden in my Dad's garage. In those days, it was,of course, the USSR ( or CCCP, if Cyrillic), which included the Ukraine. Why don't you also tell our fellow Scots here that whisky is English, since UK includes THE Scotland? Around 1959, I bought a camera for the equivalent of 35p. The pics were around 1 sq inch! Great fun . The first camera I used was my parents Zeis Ikon, it worked with a cassette like pocket cameras, prints were 9 x 9 cm and 2 smaller at the side . My first own camera was an Agfa 1035 sensor. A Zenit E. I still have it to this day and last year I picked up a mint unused Moscow Olympics version (only difference being it has the Olympic rings on it and it would probably fail a drugs test), leather case the lot for £5 in a local charity shop. Possibly worth.......£5. Typical Russian build quality and could be used for hurling at armoured vehicles. As far as I can recall, my first camera was an American Kodak Brownie Hawkeye with an honking great flash attachment. This was followed by a Kodak Brownie 127. After this it was a a 35mm the make of which i can’t remember, for which I paid £5 in 1961. The camera I lusted after was a Minox. May be the shock of returning home. As cameras go I rather thought Zeniths were pretty good and the optics very reasonable. . The optics were great, but the fault developed right away on the one I bought in Moscow.